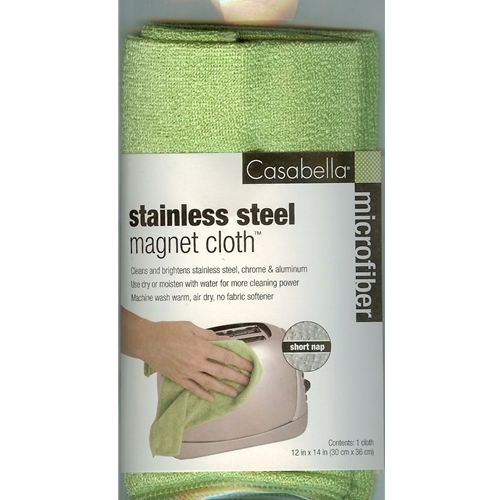 Our microfiber cloth, with a flat-looped nap, removes dull film and fingerprints from stainless steel and chrome surfaces effectively and easily without using harmful cleaners that tend to streak and leave an oily film behind. Use dry or moisten with water for even more powerful cleaning. Non-abrasive. Machine washable, do not use fabric softener, hang to dry. High quality microfiber. 12” x 14”.